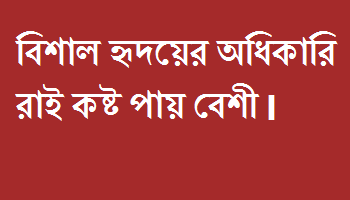 Many nice bangla status for whatsapp is here for you. 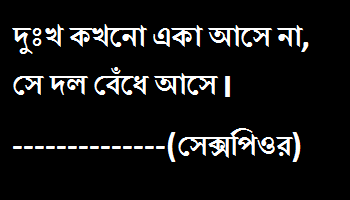 You will get here all bangla status about life, love and fun. Some people search for good quotes for update their whatsapp wall and to share with their whatsapp friends. But they can not get good as want they want. 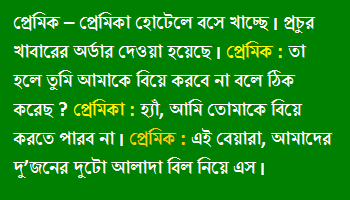 For those people, i have posted some bangla status for whatsapp. Status and quotes are similar word. So here i have written status instead of quotes. All status very creative and related to life and best love. You will get many status on internet in english about life and love. Bengali love poems. 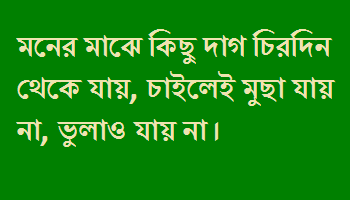 Har mene neyar nam jibon noy, lorai kore beche thakar nam e jibon. 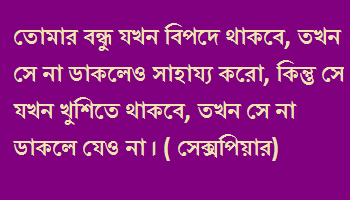 Moner maje kichu dag chirodin theke jay, chailei mucha jay na, vulao jay na. Cokher kanna sobai dekhe kintu moner kanna keu dekhe na. Amake hajar ta sotto kotha bole aghat koro, mene nibo, kintu mittha bolo na. School jiboner bonddhutto onno rokom bepar. ei bondhutto somoyer sathe sathe bare, kokhono kome na. Ekjon prokito bondhu holo jiboner sobceye boro paowa, jiboner onek mulloban upohar. 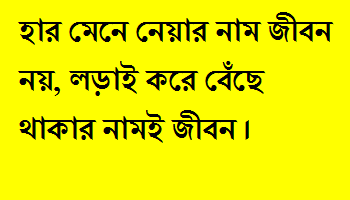 Ami sopnoke hariye jete dekhechi, kacher manushke dure sore jete dekhechi, sobai bole valobasha haste sekhay. ami sei valobashake eka govir rate kadte dekhechi. Jokhon tumi kauke valobashbe, tokhon bujbe betha ki ! Jokhon tumi valobasha hariye felbe tokhon bujbe jibon ki ! Valobashar manusher sob kichu valo lage kothata vul, valobashar manusher obohela valo lage na. Ekdin amar sob chilo aj ami chara amar ar keu nei. Premika: Priotomo, amader engagement a tumi amake ki “ring” diba ? Premik: Obossoi, tomar phone number a ami obossoi ring debo. Premik ar premika hotel a bose khacche. Premik: Tahole tumi amake biye korbe na bole thik kore niyecho ? Premika: Hm, ami tomake biiye korte parbo na. Premik: Ei beyara, amader du joner duto alada bill niye eso.